Moscrack is a perl application designed to facilitate cracking WPA keys in parallel on a group of computers. This is accomplished by use of either Mosix clustering software, SSH or RSH access to a number of nodes. With Moscrack's new plugin framework, hash cracking has become possible. SHA256/512, DES, MD5 and *Blowfish Unix password hashes can all be processed with the Dehasher Moscrack plugin. 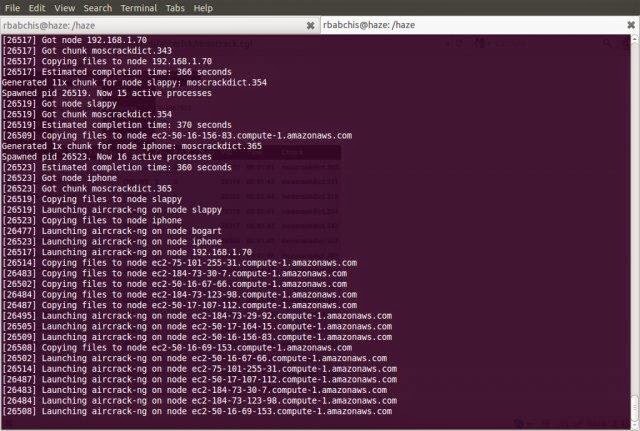 Moscrack itself should work with any Un*x variant, but it is developed and tested on Linux.